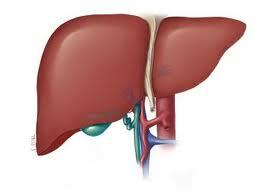 The liver is the heaviest organ in the body and is one of the largest.The liver is absolutely crucial to life. Because it is responsible for so many vital functions, when the liver is damaged, your health is affected.Any infection in liver may affect the whole life.A well functioning liver is the key to almost every facet of over-all health.The main functions of the liver is to process nutrients from food, make bile, remove toxins from the body and build proteins.The liver is the main organ in the body that is responsible for metabolizing drugs, alcohol and other toxins, and it is particularly susceptible to damage associated to alcohol. Like alcohol, smoking has negative effects on the liver.Prior research reveals that smoking damages the liver.The numerous toxins found in cigarette tobacco lead to chronic inflammation and scarring in the liver, which in turn, increases your risk for liver damage including diseases such as Hepatitis B and C, liver cancer and liver fibrosis.Smoking tobacco can lower the liver’s ability and function to detoxify dangerous compounds.Cigarettes may worsen the course of alcoholic liver disease. Smoking activates chemical materials within the body.These chemicals that are manufactured by smoking also provoke oxidative stress which is linked with lipid peroxidation. When this occurs,the condition fibrosis is developed.Smoking increases the manufacturing of pro-inflammatory cytokines which is related to liver cell damage. Remember that the nicotine is the most addictive ingredient found in smoke and is therefore responsible for most smokers craving for cigarettes. With each cigarette you smoke, your body produces more of this enzyme and the nicotine leaves your system. 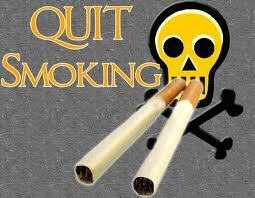 This means that, as you smoke more cigarettes, more enzymes are created and nicotine leaves your body more quickly. Tobacco use is the leading preventable cause of death worldwide.Studies reveal that by quitting smoking, you drastically reduce your health risks. On May 31 every year, the world observes World No Tobacco Day (WNTD) that is promoted by the World Health Organization (WHO). The objective of observing World No Tobacco Day is to reduce tobacco consumption which can lead to deadly diseases like cancer and early death.If your dream is to live in a pollution-free environment, then Anti- Tobacco Day 2012 is the right time to express your support to help create a safe and healthy environment for future generations.